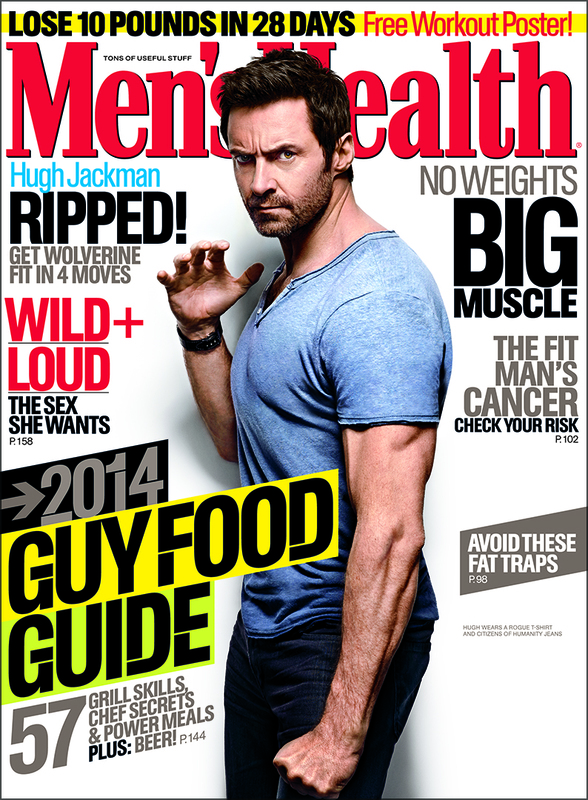 Men’s Health commissioned Art Streiber to photograph Hugh Jackman for the cover of the June issue. 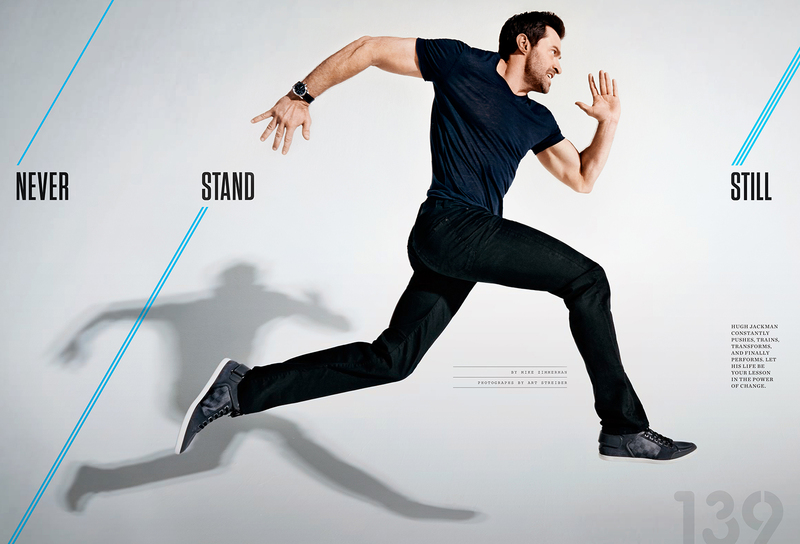 The feature was on how the versatile star of X-Men: Days of Future Past stays “Wolverine fit,” so the photo shoot needed to be action packed. “Hugh Jackman is very ripped and very fast,” notes Art, who worked with creative director Tom O’Quinn and director of photography Jeanne Graves. “Fortunately, our shoot was at the 6,000-squre-foot stage B at Highline Stages gave him plenty of room to get up to speed. Set designer Jonathan Ritzman built the set, which comprised a mountain of white cubes. “Jackman ascended, traversed, and descended it, over and over again, tirelessly climbing up and down with a smile on his face,” says Art. Hugh Jackman. Photo by Art Streiber for Men’s Health, June 2014 issue. This entry was written by kfeliciano and posted on 06/17/2014 at 11:33 am and filed under interviews and behind the scenes, recent work with tags Art Streiber, Hugh Jackman, men's health, Streiber behind the scenes. Bookmark the permalink. Follow any comments here with the RSS feed for this post. Post a comment or leave a trackback: Trackback URL.